Patti LuPone’s new musical War Paint (about the feud between Elizabeth Arden and Helena Rubinstein) opens next month. And, because eight shows of bringing the house down per week can wreak havoc on one’s voice, she must take extra good care of her legendary voice. 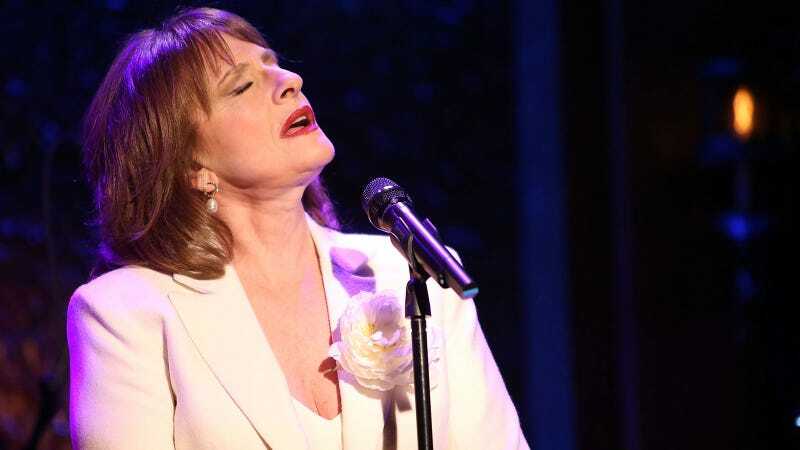 In a conversation with Page Six queen Cindy Adams, LuPone revealed her new methods, which include AVOIDING THE SCREAMING, CLASSLESS PUBLIC such as myself. “My teacher taught me a new technique,” she said, offering no details. Though, why would she ever share her secrets? She has a new technique, and you don’t deserve it. What, she’s just gonna give away something she’s worked decades for? You must be absolutely nuts. She also confessed to having “minimal conversations,” because in what world should a diva (I’m using that word with the utmost reverence) be expected to speak to anyone? Speaking of, Cindy, let’s wrap this up. Ms. LuPone has other people to see. “And any restaurant,” she added, “must have a quiet atmosphere.” None of this loud music, crap. She won’t be talking over raucous parties of 12 nearby. She won’t be competing with music—especially if the songs aren’t sung by herself, but even then, keep the volume down.